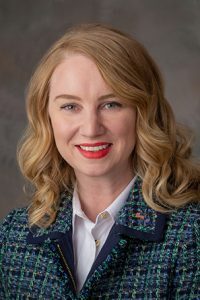 LB555, introduced by Omaha Sen. Megan Hunt, would mandate that hospitals providing emergency care for a sexual assault survivor provide medically and factually accurate information about emergency contraception such as Plan B. Hospitals also would be required to dispense a complete course of emergency contraception to a survivor who requests it. As introduced, the bill would create an exemption for health care workers with moral or religious objections to contraception and would create penalties for hospitals that do not comply, including loss or suspension of licensure after a sixth violation. Hunt said she would file an amendment to remove the licensure revocation provision, and instead substitute a $1,000 fine for a second and all subsequent violations. The state Department of Health and Human Services would be responsible for investigating noncompliance complaints against hospitals. Hunt said it is “unethical” and “inhumane” to withhold information about emergency contraception from sexual assault survivors and stressed that taking an emergency contraceptive is not akin to abortion. “If you are pregnant, emergency contraception will not end your pregnancy,” Hunt said. Raechel Kramer with Planned Parenthood of the Heartland testified in support of the bill. Kramer said emergency contraception, including Plan B and other protocols, can prevent a pregnancy if taken within three to five days after an assault. She added that many of her clients weren’t told of such an option at a hospital or were denied emergency contraceptive care. “A survivor cannot have a positive experience with a health care system that doesn’t provide them with everything they need in order to move forward from their assault,” Kramer said. Amy Miller, a medical student, also spoke in support of the bill. She said emergency contraception prevents ovulation, thereby preventing pregnancy. “These medications do not cause abortions. They are ineffective once implantation [of a fertilized ova] has occurred,” Miller said. Also testifying in support was Tiffany Seibert Joekel of the Women’s Fund of Omaha. She said LB555 would help a survivor’s recovery from assault. Marion Miner testified against the bill on behalf of the Nebraska Catholic Conference. Miner disagreed with the contention that emergency contraception does not cause an abortion. “Because a new, unique and distinct human being comes into existence at fertilization, administration of emergency contraception after fertilization, including before implantation, results in the direct termination of a human life,” Miner said. Darrell Klein of the state Department of Health and Human Services also testified against the bill. Klein said the department supports offering medical advice to sexual assault survivors but opposes the punishments outlined in the bill as introduced. Klein said LB555’s investigation requirements, particularly a provision requiring immediate investigation of a complaint, were at odds with provisions of the Health Care Facility Licensure Act. In her closing statement, Hunt said the department’s objections were “reasonable” and that her forthcoming amendment would help address those concerns. The committee took no immediate action on LB555.